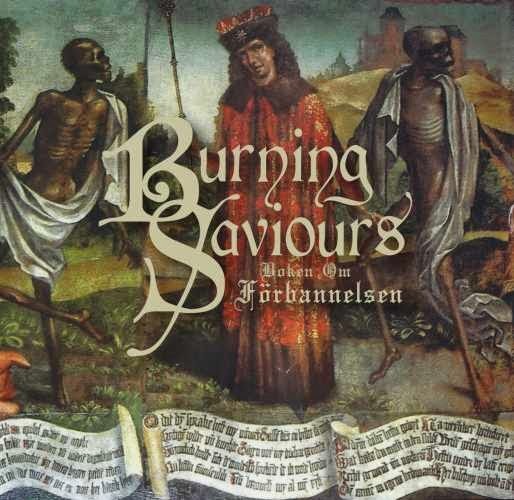 I remember first checking out Burning Saviours nearly a decade ago, they were definitely one of those 70s throwback/doom bands, alongside countrymen Witchcraft, who seemed to be taking the whole thing to the next logical step of nostalgic retrogression. That's to say they sound a lot like a band from 40 years ago, even to the point where the production on their records mimics that formative epoch. Now, three records and a number of single recordings later, they haven't altered the approach; so Boken om förbannelsen, a collection of four single recordings spanning 2011-2013, is pretty much textbook Sabbath/Cream worship which succeeds in sounding like the hard rock of the members' now distant youths...and whether or not you'll enjoy this really depends on your ability to stomach more of that relatively idea-less, retro rock & roll which seeks to stand on the ceremony of pre-paved riffing progressions and songwriting structures rather than fire up an original spark. I'd say that, while this sounds pretty authentic in terms of how the instruments are mixed and having a singer (Mikael Monks) with some genuine charisma, this well might just have been tapped too often and for too long to preclude me turning up my noise at some of the chord progressions, which are more or less timid rehashes of songs like "War Pigs" or a million others you could tune into on your local endless commercially recycled hard rock radio station right this second. A lot of those spider-crawling blues grooves that people have been getting high to since 1969, threaded with a slightly tormented melodic scream which is very able at sculpting a chorus which resonates far more than the rest of the songs. That these tunes were penned to be singles is evident, so there's a lot of consistency in terms of their pacing, a lot of chemistry between them, some even being thematically linked. The guitar tone is fantastically clear with just a little of that genuine old 70s mud, while the leads are relatively raw and emotional and generally well enough written...the bass plods away without much individuality and the drums are lethargic but a perfect fit to the peppy mid-speeds. They do occasionally deviate from the central rock formula here, like the eaves of ringing harmonic blues that inaugurate "Doomus Maximus" or "I Am Lucifer", but at the most modern the latter sounds like an alternative to the Ghost debut Opus Eponymous with a different vocalist. 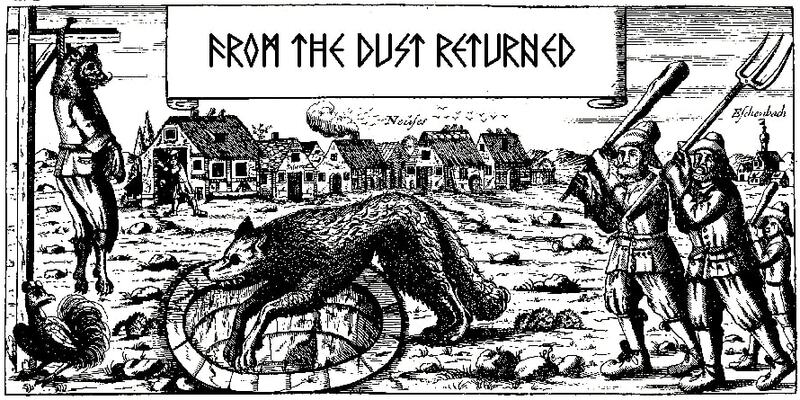 To be truthful, people who love that album will actually appreciate this a lot from a more directly Sabbath-ian vein, there are certainly a number of cuts like the cleaner "Midnight" or "The Offering" which give off the vibe of ritualistic pipe-smoking hippie doom wafting through the rafters of our nostalgia. Ultimately, while I have no question that the band members were able to tap into that lifeblood of ancient heavy metal while in-session to compose these, and perhaps felt the same wonders of their predecessors, they're only doing that by basically borrowing material that had come before and paraphrasing the note passages. Boken om förbannelsen is a pleasant, occasionally catchy offering, and it's nice to have the disparate singles collected into an actual product of higher value, but the Burning Saviours ultimately cop a little too much derivative inspiration to stand out from the shadows of their distant forerunners.